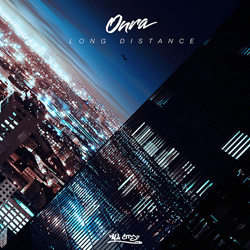 The key to Onra’s third album, Long Distance, is the heavy boogie rhythm of “My Comet.” Released as a 7-inch on All City Records two years ago, it sounded uncharacteristic of the French-Vietnamese producer’s sound at the time, which consisted of crusty post-Dilla donut loops. Now it anchors Long Distance, a tribute to hot early 80s soul and post-disco that stands as his best work to date. Onra stays faithful to the boogie theme throughout Long Distance, but he also stretches it to its breaking point. At 21 tracks, it’s probably too long by a few cuts. Some of these like “Girl,” where he loops a recording of a girl lusting after him despite having a boyfriend, push the album’s pace along. And “Oper8tor,” which inserts the vocoder-ized hook from Midnight Star’s “Operator” amidst a two-minute-long stutter step, has kitschy charm. But B-side loops such as “Moving” and “Rock On” add unnecessary filler to what is mostly a dynamic and focused set. But if Onra freely (and masterfully) exploits the current Zeitgeist for all things boogie funk, he seems to have found his identity within it. His acclaimed Chinoiseries only emphasized the difficulty of replicating Dilla and Madlib’s loop aesthetic. 2009’s 1.0.8 had a frantic, hurried feel; unlike fellow Europeans such as Dorian Concept and Hudson Mohawke, he seemed uncomfortably toying with glitch funk. Long Distance certainly has its glitch elements – check the appropriately titled “Wonderland” for proof – but it’s nestled in a seductive dance floor groove. Onra’s true home, it seems, is in the thick of the night light haze.